This is an amazing and inspiring story. 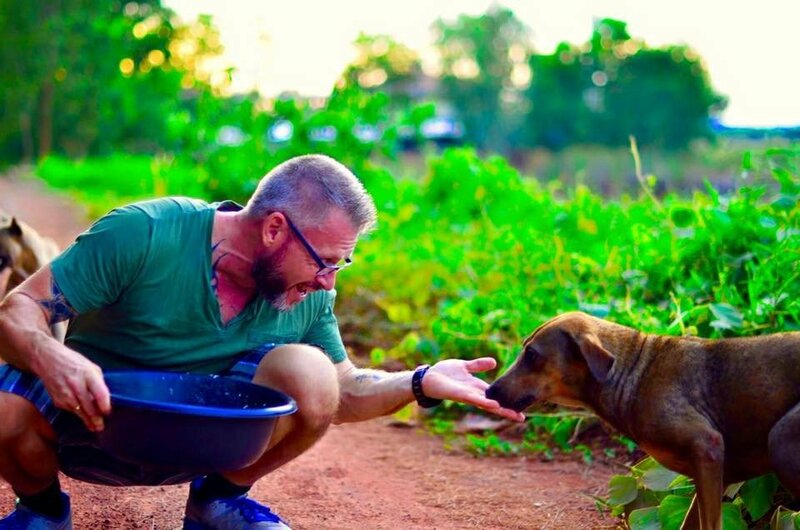 Michael Baines is a Swedish native who is now living and operating a restaurant in Thailand. 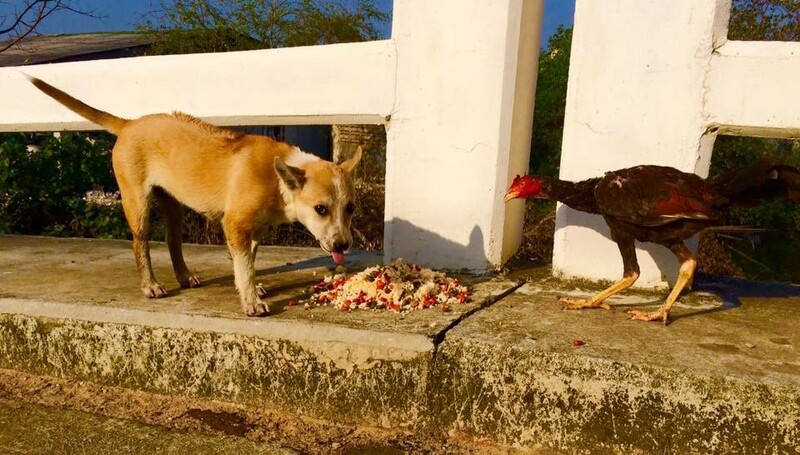 One day, an infected and horribly malnourished mother dog approached Baines at his restaurant and he gave her food that she desperately needed. 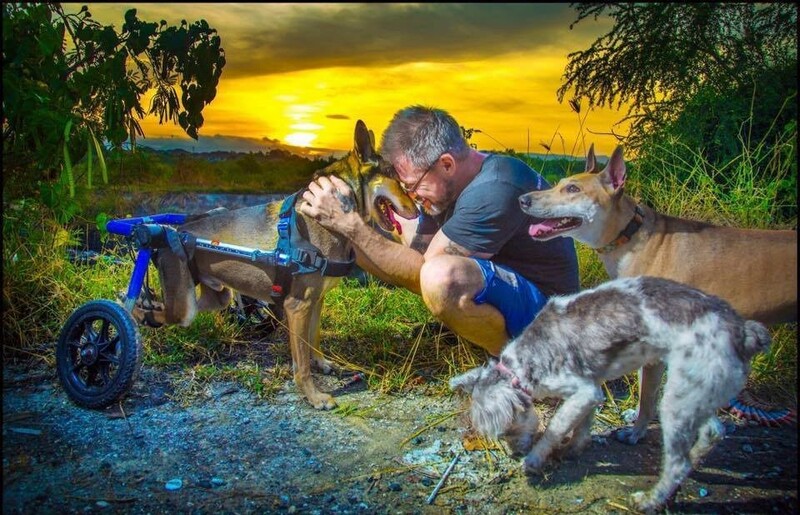 Michael Baines conveyed the following story via phone conversation to a reporter.While relating his story he didn’t miss a beat while feeding the roughly 80 stray dogs that hang out along his daily route in Chonburi, Thailand. It was early on a Saturday morning, not long after he woke up. 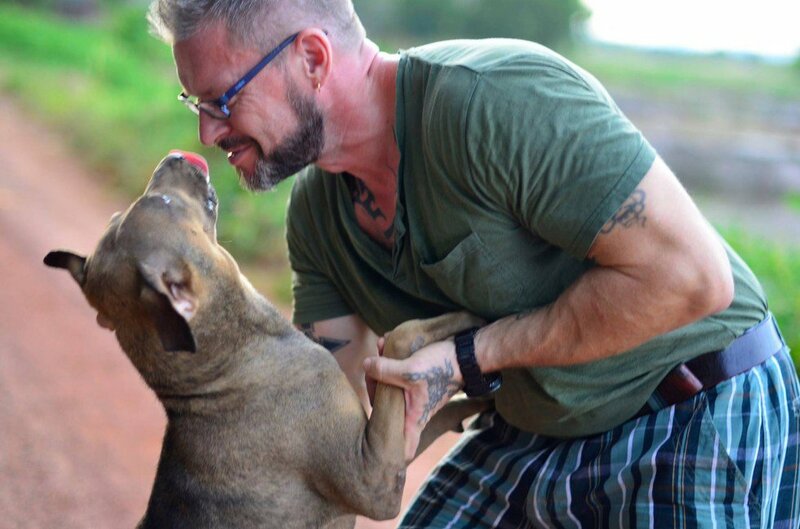 He prepared their food and drove to the first of the three locations that he stops at to care for the dogs that he’s been feeding for five years. While on this important mission, he didn’t drop his phone once, and the reporter, well he got to go along for the ride with him by phone from 8,387 miles away. The dogs that he feeds and takes care of have come to trust Michael, and they wait expectantly for him every day. He is definitely a very big part of why and how they survive in a country that isn’t usually very kind to dogs. “Many people see an animal here and will hit the dog with sticks, stones and machetes, and use knives or kill them with guns,” said Baines. It isn’t unheard of for some people to throw boiling water on dogs or even poison them he said. This is exactly why Baines carries a $10 bottle of antidote in his vehicle. Baines was born in Scotland and moved to Sweden when he was 2 years old. After he had spent a few holidays in Thailand he decided that he needed a change, so he found a job and moved to the country in 2002. Baines, who is 48, is now the chef and general manager of a restaurant in Chonburi called, Carrot. 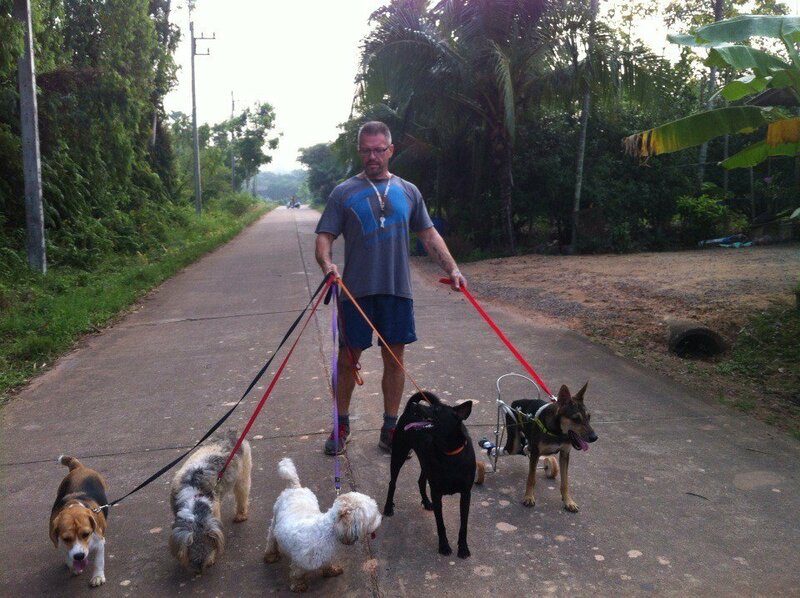 Baines makes a total of 17 stops, along three different routes that he takes and feeds the dogs once a day. 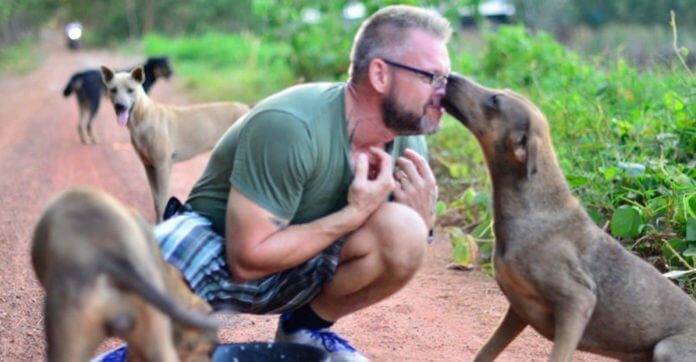 From his house to work, he stops eight times and feeds 30 dogs. 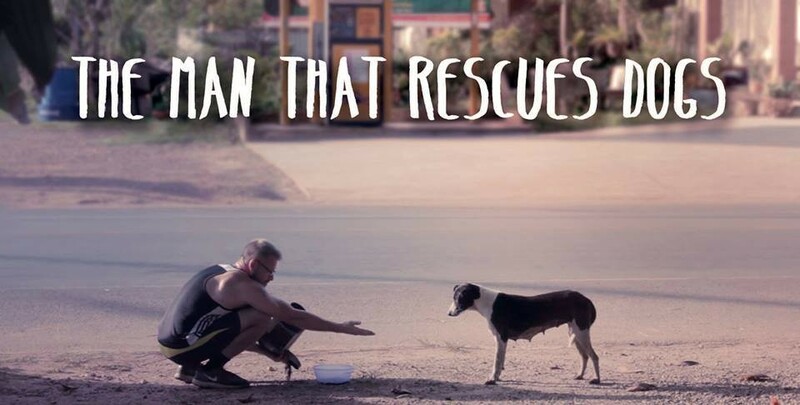 After the restaurant serves breakfast, he gathers the food for the second run of the day, and makes eight or nine stops to feed another 30 to 35 dogs. Then he feeds another six dogs outside of his restaurant, and four to five dogs when he’s on his way home after work. The dogs are fed dry food and boiled rice mixed together with vegetable oil and bouillon with a boiled chicken, pork or fish mixture added for taste. Once every month, Baines puts a powder into the food that prevents the dogs from getting various worms, ticks and fleas. Most every penny he spends is self-funded or given through donations. Many of the dogs on Baines’s daily stops are regulars. 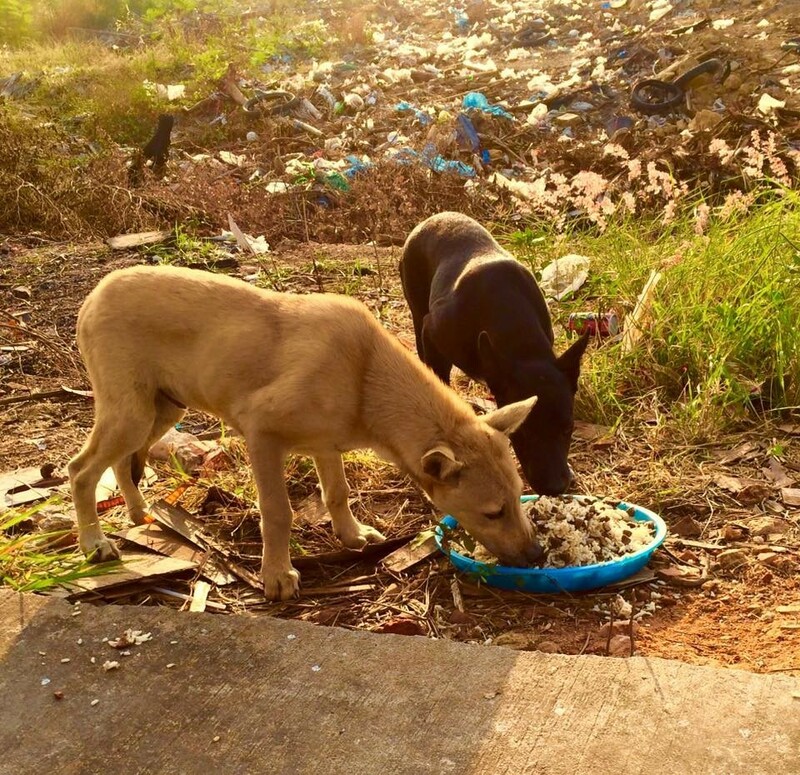 In March, 15 of the streets dogs were poisoned by someone. They were along Baines’s route. “They put coolant on the street, and the dogs drank it and they died,” Baines said. “I could only find three bodies.” Sometimes new dogs show up because a common solution to a pregnant dog is to throw all of her puppies into the woods, said Baines. Over the past few years, Baines has taken it upon himself to get some of the dogs spayed and neutered. 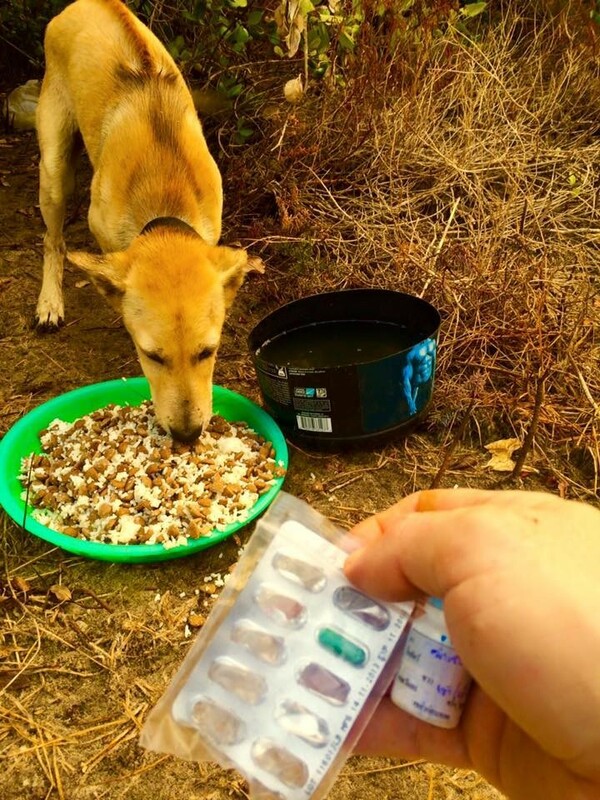 He also gives sick dogs antibiotics, but he is not able to keep any of the dogs permanently because he doesn’t have a lot of space himself. “I don’t have any place to keep them,” Baines said. 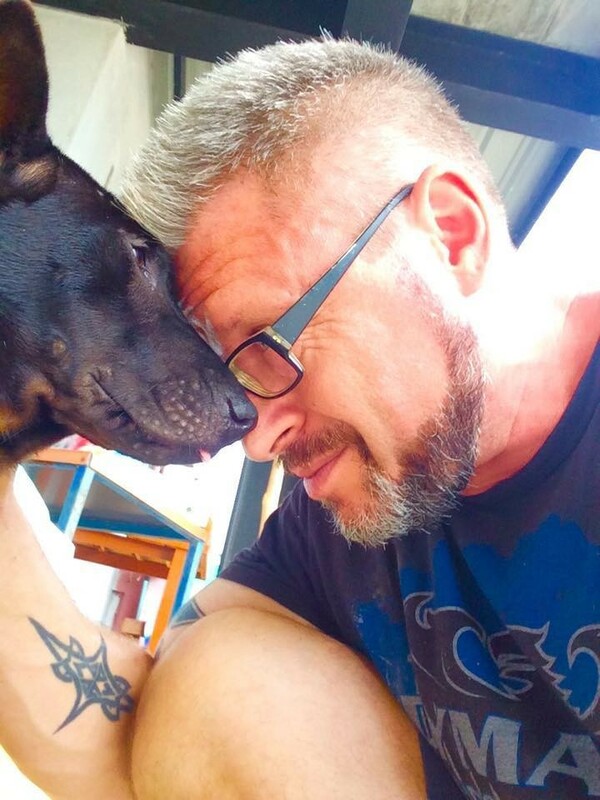 However, if he is especially worried about the safety of a dog, he’ll keep that dog temporarily at his restaurant while he searches for a home for it. Remarkably, his success rate for adoptions has been 100%. One of his dogs, named Coke, is in a wheelchair. Coke’s first owner allowed him to run the streets, which isn’t uncommon in Thailand. Coke was struck by a car and suffered a broken spine. At first Baines offered a wheelchair to the owner, but when the owner asked Baines if he would take the dog, he agreed. One other dog Baines fed for a year and a half had a terrible limp because his paw had been crushed in an accident. They had to amputate the leg so, “I couldn’t take him back to the street, so I adopted him,” Baines said. 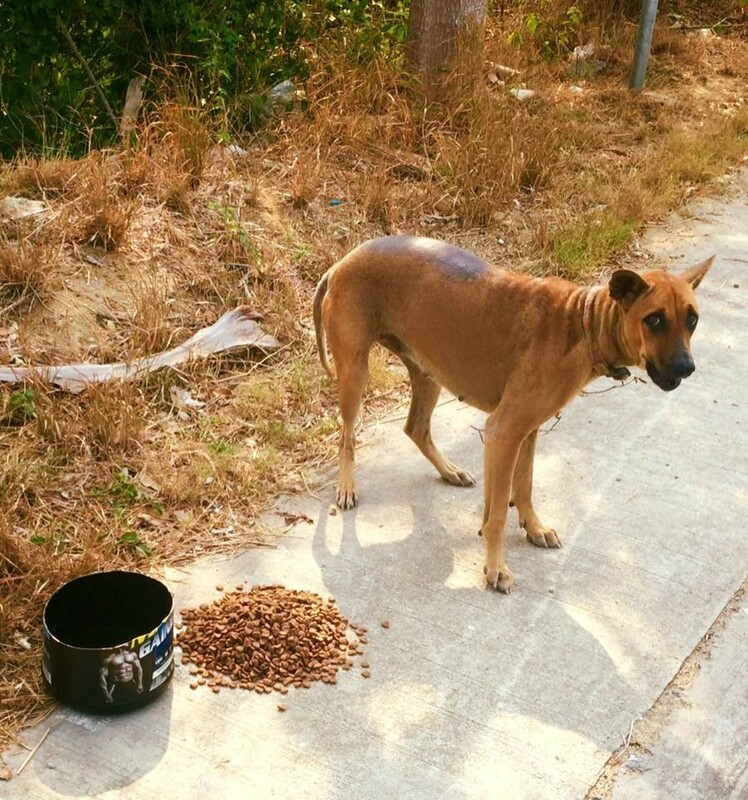 There are too many strays in Thailand to count, the actual number isn’t even known. They estimate there to be as many as 300,000 stray dogs in Bangkok, the capital, alone. There is one small city shelter, said Baines, but the dogs just fade away there. He gets along well with the shelter workers and hopes that some changes can be made eventually. However, change does take time. “All the people here say there are too many dogs and want to shoot them,” Baines said. Thank you so much Michael for everything you do for these poor dogs! Previous articleFather And Daughter Dancing To “Can’t Stop The Feeling!” Is Too Cute For Words.